Want a balloon?" He's everything you ever were afraid of and now he's a Living Dead Doll! From his oversized clown shoes to his shock of bright red hair, great care has been taken to capture not just the look, but the essence of Pennywise. This unforgettable character comes with his trademark crimson balloon, fabric clothing, and rooted hair. 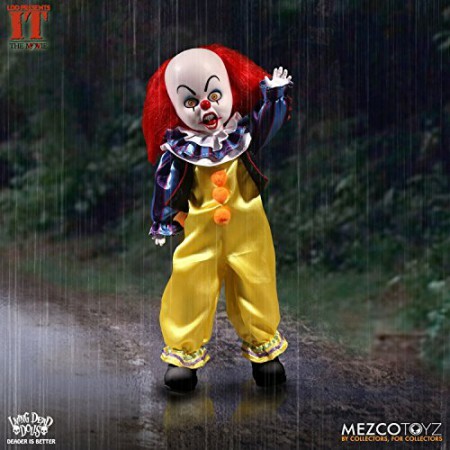 The Living Dead Dolls Presents It 1990 Pennywise Doll stands 10-inches tall and features 5 points of articulation. He comes packaged in a custom die-cut window box. Welcome him into your collection today... then you can float too.